Then came the popular revolution in Ukraine and Putin’s mask fell off with a thud. The magnitude of corruption and abuse by Ukraine’s former President Yanukovych is a child’s game, compared to Putin’s shameless enrichment at the expense of the Russian people. It’s quite clear that Putin’s estimated net worth of $75 billion didn’t materialize out of his official salary of less than $200,000 a year. While lone voices of journalists and whistleblowers were drowned in blood, the West preferred to look the other way. Western Europe was too enamored with dirty Russian money and the U.S. didn’t want to let go the illusion of the reset button. As a shrewd, cynical Chekist, Putin was not about to allow the free spirit of Ukraine to spill over into Russia. His reaction was quite predictable and followed the pattern Russia utilized in the past: revolution, followed by silent incursion of Russian military forces, followed by a “referendum” and an annexation, along with series of armed attacks and provocations. It worked in Georgia (creating breakaway regions of South Ossetia and Abkhazia), played out to Russia’s satisfaction in creating the breakaway region of Transnistria and the Nagorno-Karabakh conflict (where Russia armed both sides and helped turn a local dispute into a war). Based on the past precedent, combined with his overinflated ego, Putin fully expected to get away with annexing the Crimea and re-gaining control over Ukraine’s government by hook or crook. He miscalculated by thinking that the world would simply take his word for granted and disregard the facts. One thing standing in the way of Putin’s massive propaganda machine is the modern-day Internet. Time and time again, shameless lies by Russia’s government-funded media outlets are being exposed by Ukrainian journalists. Putin claimed that Russia’s inexcusable meddling in Ukraine’s affairs was based on the country’s alleged shift to fascism. Recent Ukrainian election made mockery of that faux supposition, when Ukrainian far right candidates were beaten by all others (including the Jewish candidate), garnering barely over 1% of all votes. At the same time, Russian mainstream media was selling a lie (complete with Photoshopped graphics) that the leader of the Right Sector Dmytro Yarosh was winning by a landslide. While internal controls are meant to silence the voices of opposition (at least, those that aren’t already in prison or prohibited from using the Internet, like Alexei Navalny), Russia’s external propaganda seems to be working like a charm on the leagues of Western Putinistas. They don’t know (and perhaps, may not care to know) what life is like for average Russians under Putin. They have very little regard for the Magnitsky Act. 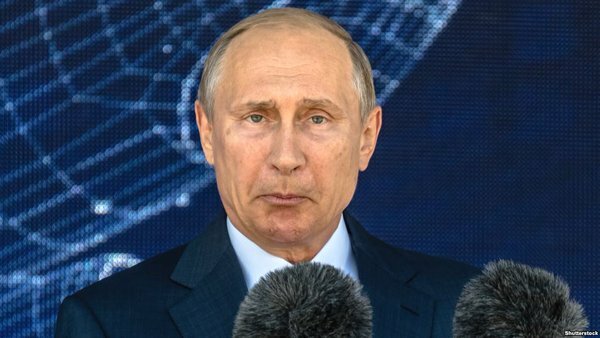 What resonates with Putin’s loudest cheerleaders is Russia’s intolerance towards immigrants, pugnacious nationalism, acquired religious fervor and hardline approach towards free press, opposition and whistleblowers. Putin is a darling of the far right, in spite of the civilized world’s opprobrium of Russia’s Hamas-style proxy incursion of Ukraine. They realize that “Nazi” rhetoric coming out of Kremlin is simply a smokescreen for another blatant land grab, as well as a jab at destabilizing his foes in the EU. In Hungary, Putin joined forces with the Jobbik party, whose supporters dress in Nazi-type uniforms, spout anti-Semitic rhetoric and support nationalist economic policies. The party is rumored to be supported with Russian funding. It is vehemently against the European Union. Another party reportedly funded by Russia’s extreme right is the Greek fascist party, Golden Dawn. Its members use Nazi symbols at rallies, implement street fighting as a method of control, and sing the Greek version of the Nazi Party anthem. All of these activities are very similar to Russia’s own enormous neo-Nazi movement. As demonstrated by a cable made public by WikiLeaks, Bulgaria’s far right Ataka party also has close links to the Russian government. Not surprisingly, Jobbik, National Front, and Ataka sent election observers to validate the Crimea referendum. American conservatives and fringe alternatives also seem to have developed a love affair with Putin, which arises mainly out of their distaste for the Obama administration. They would do well to realize that the enemy of their political opponent is not necessarily their friend (in fact, Putin’s leading state-sponsored propagandists are advocating reducing the United States as a whole to a pile of radioactive dust). These alliances make it clear that Putin’s government is not opposed to “Nazis” or “fascist” ideology in the least. That is merely another propaganda trick, invented by the Kremlin to give the civilized world an excuse to look the other way, while Russia ravishes another post-Soviet country. Putin is also not above using far-right parties to his advantage in destabilizing European governments and preventing EU expansion. It remains to be seen just how far to the right of common sense and decency Russia is willing to march, feeding its zest for imperial expansion. If Putin realizes his dream of bringing the USSR back from the dead, his creation may well surpass our worst expectations.